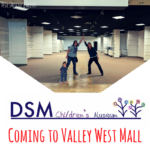 Des Moines Children’s Museum is settling in at our new location at Valley West Mall, and we’re so excited to be accepting volunteers from the community to help us keep things running smoothly! 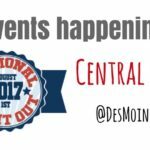 Right now, DSMCM is an all-volunteer organization. 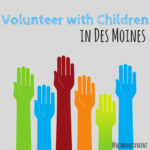 So far, everyone from the Co-Founders, Laura and Julie, to the members of our Board, to the community members who have helped us, everyone is volunteering their time because they believe that Des Moines needs a children’s museum, and they’re willing to give some of their time to help make it happen. As we grow we will eventually need paid staff, but at this early stage we are running on volunteers. We have 10 board members who all volunteer, but we need 2 people on staff during open hours to keep things running smoothly. Since all of us have young children, a full time job, or both, our available time is limited. We’d love to expand our hours but we simply don’t have enough people to do it without help from the community. Volunteers help us with the day to day running of the museum. 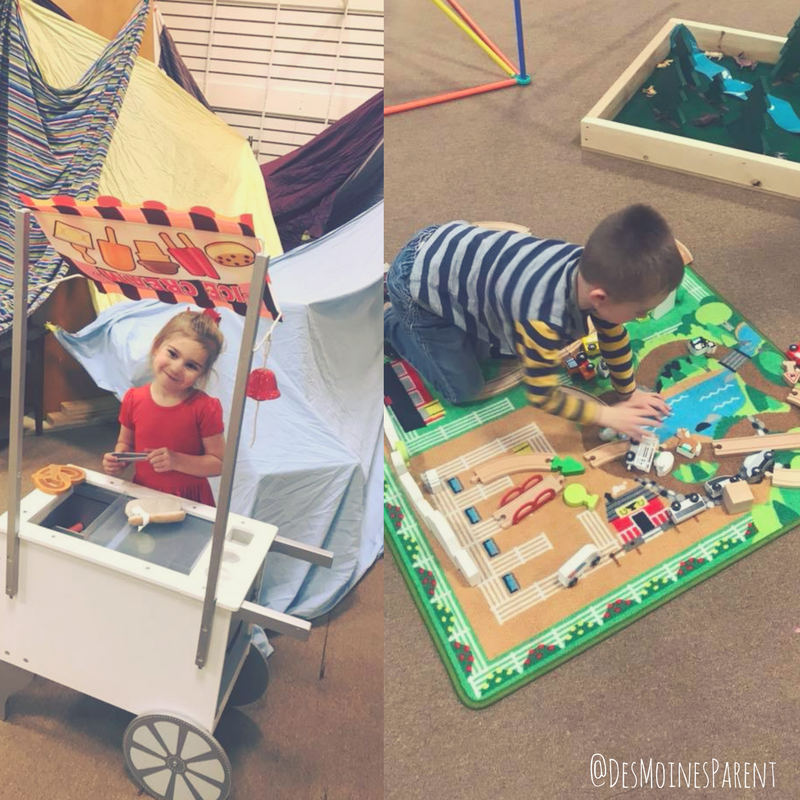 Selling tickets, keeping exhibits tidy, and sanitizing toys are the most common tasks. Absolutely! 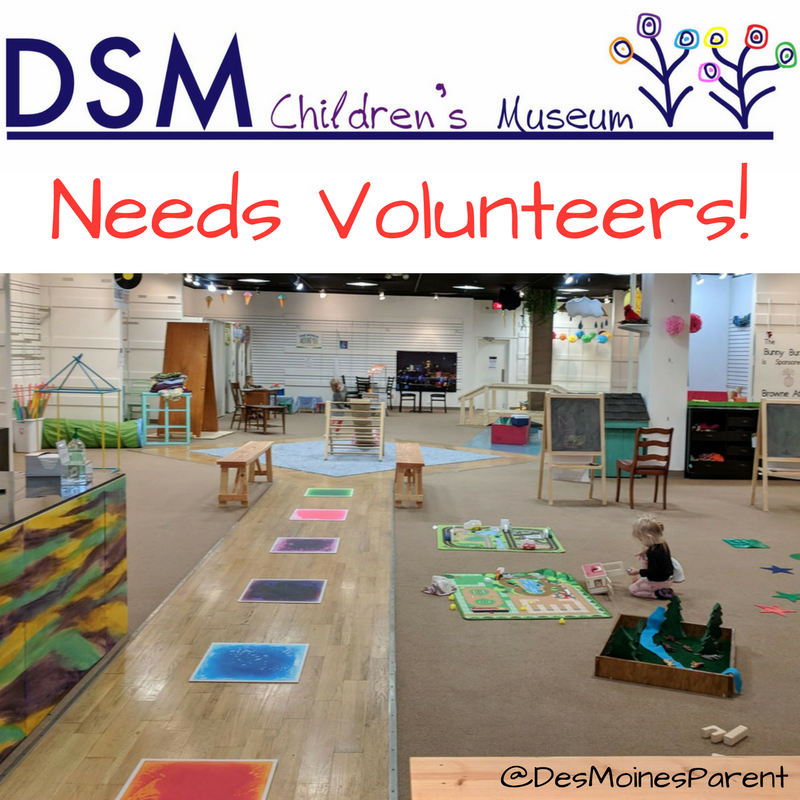 Volunteers are welcome to bring their kids to help or play in the museum. 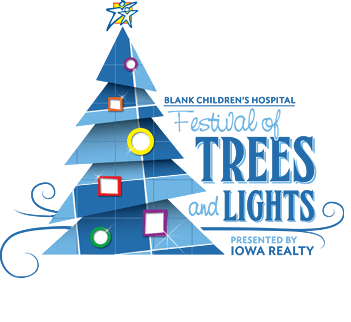 We do not charge admission for the children of volunteers on the day of their shift. 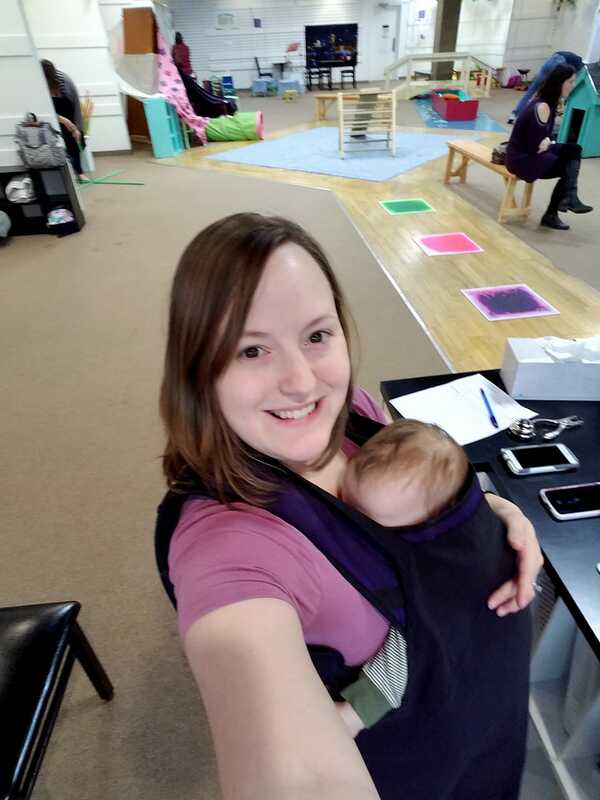 We have intentionally kept all volunteer shifts to 3 hours or less to make it easier to volunteer with kids in tow. Wear your kids! Still nursing or worried about diaper changes? 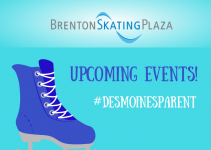 Do not forget we have a cozy nursing and diaper changing room sponsored by Des Moines Parent and Midwest Mom & Wife. Do I need any training or experience to volunteer? We train our volunteers on the job, there is no advance training required. For the first shift, we generally assign volunteers to keeping the exhibits neat. This gets you familiar with the exhibits and where everything belongs, and it isn’t too hard to do while keeping an eye on your own children. Children can even learn to help lend a hand at the end of the day to clean up. 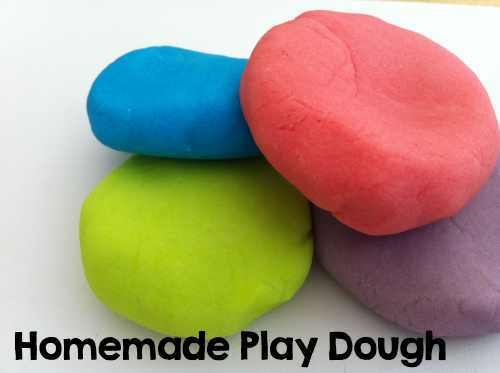 A great way to share a volunteering experience with your little ones. So glad you asked! To sign up to volunteer, please visit the Volunteering page on our website, here. If you have any questions about volunteering, or anything else about the museum, you can contact us here. 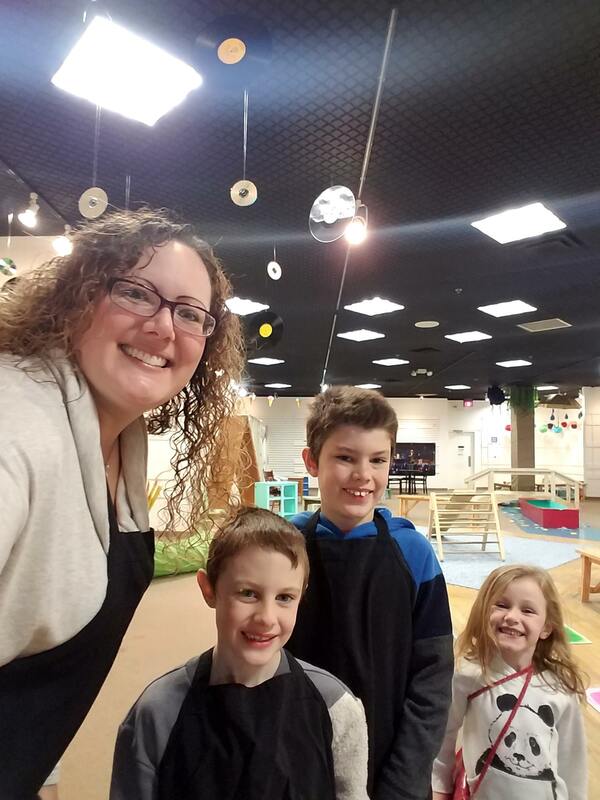 ** Board member and volunteer, Ashlen Sheaffer brought the whole family for some fun and volunteering!